A coalition of nine doctor and health organisations has joined the global Unmask My City initiative, calling for greater urgency in achieving clean air in Sofia, Unmask My City (UMC) initiative said in a statement, adding that the Bulgarian capital is one of the most polluted cities in the whole European Union (EU). According to UMC’s press release, the World Health Organization (WHO) estimates that Bulgaria has the third highest mortality rate (per 100.000 population) from air pollution in the world, after North Korea and Bosnia and Herzegovina. One of the mayor consequence is that the equivalent of 29.5% of the country’s GDP is wasted through reduced productivity and costs of treating the diseases caused. “As a lung expert, I am very concerned about the poor air quality in Sofia. Polluted air can affect lung development in children, cause or worsen asthma, allergic disorders and the lung disease COPD that means permanent narrowing of the airways, not to forget lung cancer. It is dangerous for every single person to ignore the pollution problem – we must act now for better air quality now and we will see immediate short term benefits for our health as well as save our children and grandchildren a lot of future trouble,” Dr. Alexander Simidchiev, Chairman of the Executive Board of the Association Air for Health, said. The poor air quality in Bulgaria means the country has been in continuous breach of EU air quality standards, UMC initiative said in a statement. 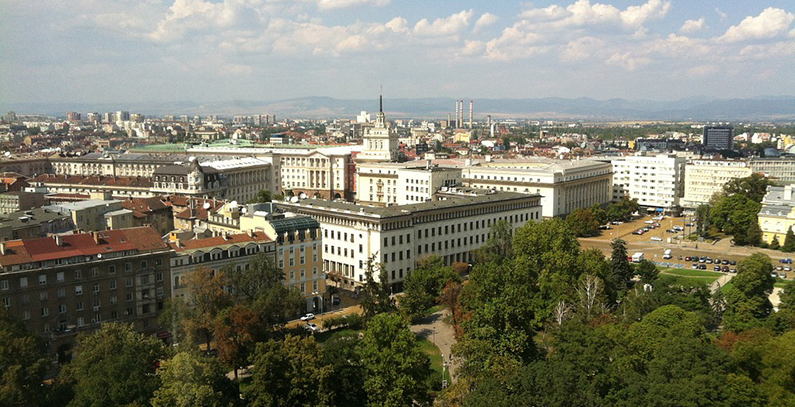 In 2017, Bulgaria was the first country to be sentenced by the EU Court of Justice to take action to improve air. Vlatka Matković Puljić, Senior Policy Officer for Health and Energy at the Health and Environment Alliance, said that air pollution is the top environmental health concern in Bulgaria and in the EU as we saw earlier this month with the European Commission referring six countries that show high and permanent levels of air pollution in their cities to the European Court of Justice. She hopes that many more doctors, patients, and health experts will join the clean air efforts and prompt the Bulgarian government to act. So far partners of the campaign are Health and Environment Alliance, Association Air for Health, National Patient Organization, Association of Medical Students in Bulgaria, Student Council of the Medical University, Faculty of Public Health, Bulgarian Society of Allergology, Bulgarian Physicians Union, and National Association of General Practitioners in Bulgaria. Unmask campaigns are rolling out in 10 cities on five continents: Adana, Istanbul, and Hatay, Turkey; Belgrade, Serbia; Warsaw, Poland; London, UK; Salt Lake City, US; Chennai, India, Sao Paulo, Brazil; and Emalahleni, South Africa. Unmask My City is a global initiative by doctors, nurses, public health practitioners, and allied health professionals dedicated to improving air quality and reducing emissions in our cities.